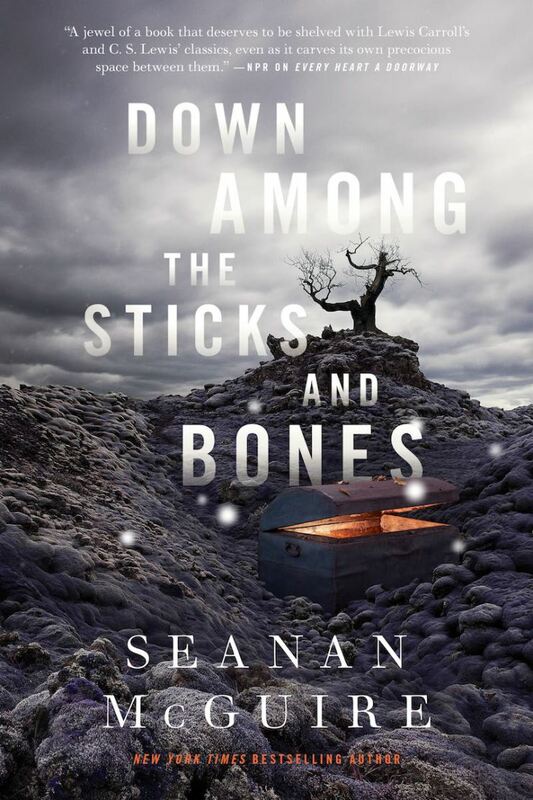 I’m almost ashamed to admit that this is the first Seanan McGuire title I’ve read. Last year, her novella (which is now a Nebula Award winner) Every Heart a Doorway, was all I heard anyone talk about. Well, if Down Among the Sticks and Bones is anything to go by, I can see why. 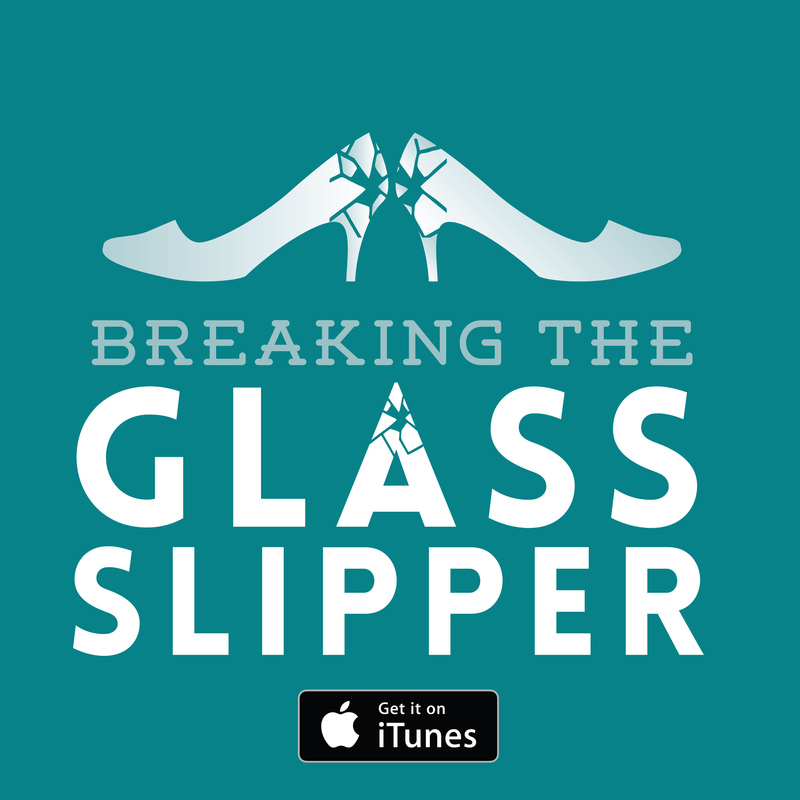 This is a modern take on a fairytale while managing to be original, moral, and lyrical. 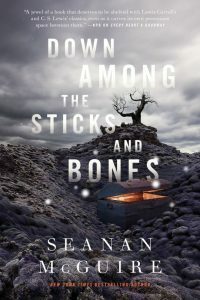 Part of her ‘Wayward Children’ series (of which Ever Heart a Doorway was the first) for Tor.com, Down Among the Sticks and Bones explores a portal fantasy world where only lost children manage to find their way to. Is it an escape from their sad lives on Earth or something more sinister? While this could easily be seen as a tale of understanding the consequences of our own actions and choices, I found it particularly intriguing as a scathing indictment of indifferent parenting. The novella follows two young girls, Jacqueline and Jillian, as they disappoint their disinterested parents and struggle to understand what ‘love’ is in a world where love is less than forthcoming. On a particularly dull afternoon, Jill begs her sister to accompany her on an adventure. When exploring their grandmother’s old bedroom, they discover a magic stairwell inside a clothes chest. When they follow the stairs all the way down, they stumble into a new world full of danger. Having grown up in an environment where their parents made all the decisions for them – down to deciding what personalities each child would have – leaves Jack and Jill wholly unprepared for the evils that await them. They were raised as competitors, not friends, and in this world you need all the friends you can find. Will they survive long enough to get back to their world? And will they want to go when the option does present itself? The characterization at play in the novella would be excellent on its own, but its use as a thematic element places the characterization under a microscope – and McGuire’s technique is nothing short of perfection. Jack and Jill are assigned personalities as small children by their parents, who believe that people can only fit into certain categories. Jacqueline’s slight hesitancy as an infant causes their parents to decide she is the ‘girly’ girl of the two – they encourage her to wear dresses, look pretty, keep quiet. And by doing so, they instill in her a fear of getting her beautiful dresses dirty, which manifests itself later as a kind of OCD. Meanwhile, Jill is pushed to be the tomboy – forced into sports, expected to keep her hair cut short, friends with the boys rather than being an object of beauty. After they crash through into a new world, they are finally given the opportunity to choose their own path. What they find is that they are neither one thing nor the other, but a combination of both. Jill does like football but also wants to wear dresses sometimes. Jack doesn’t like dirt but is far braver than her parents ever gave her credit for. From a passive existence, the girls are thrust into a world where choice is everything. The door asks them to be certain of the choice they make in opening the door, but it is far more than that. They must be certain of every decision they make from that moment on. 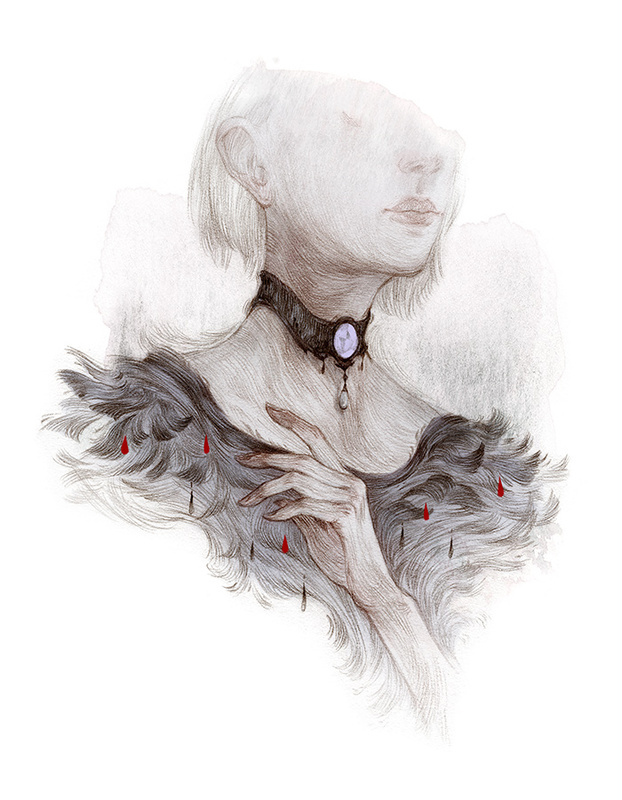 Down Among the Sticks and Bones is a novella that shows the value and varied nature of being a woman. With two female protagonists who are not fighting over a man(! ), finding out who they are, the reader is provided with an insight into the joys of women both traditionally feminine and more unconventional, with the entire spectrum in between and beyond. It is a celebration of what it means to be a woman, showing us that the choices are almost limitless. It seems as though the future of fairytales is the novella format. 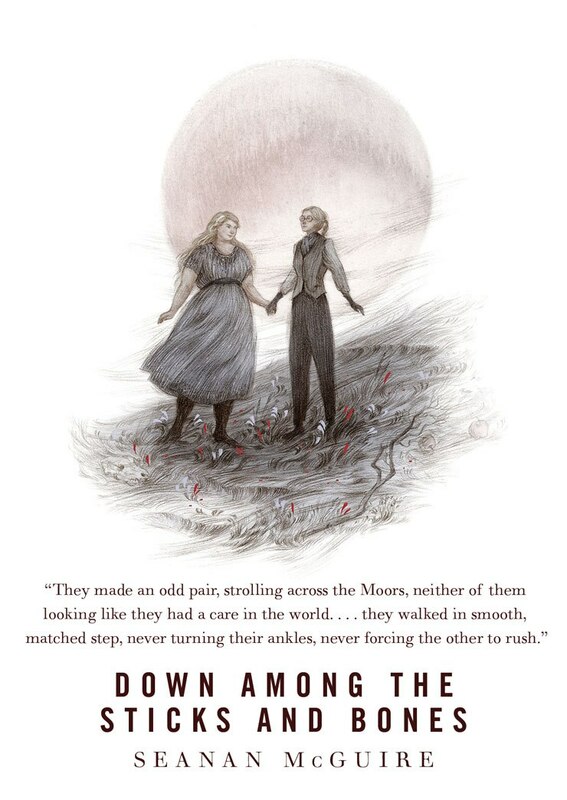 Down Among the Sticks and Bones succeeds where Sarah Pinborough tripped. You can see the influence (or at least similarities with) Naomi Novik’s Uprooted too. 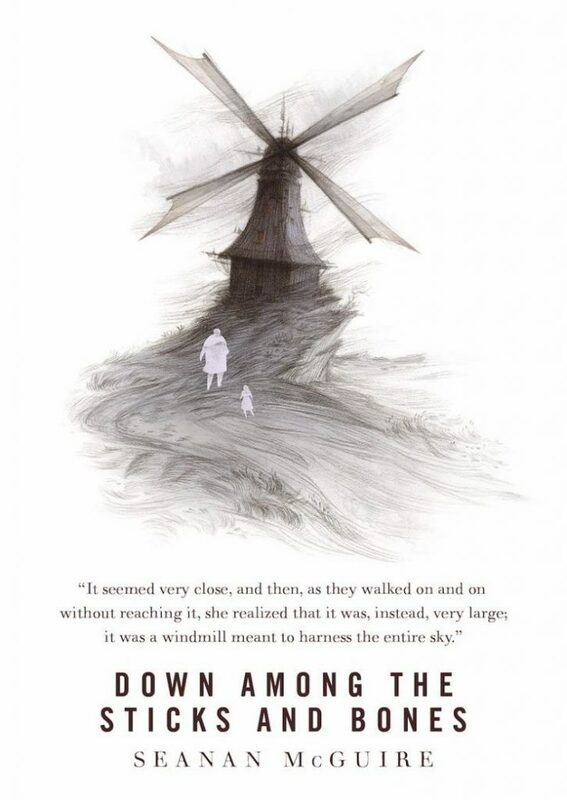 The story follows the familiar structure of fairytales while not being a ‘retelling’ – sure, we have a Jack and Jill and they ‘fall’ down a magical staircase and into another world, but that’s as far as the similarity goes. And while McGuire sticks to the moral nature of fairytales, it never feels heavy handed. More than anything, this novella is simply a joy to read. The prose is simple and elegant. The words feel like they belong exactly in that order. It is lyrical and magical and it will seep into your dreams. Verdict: One of the best novellas I have ever read. If you enjoy fairytales, it is a must. 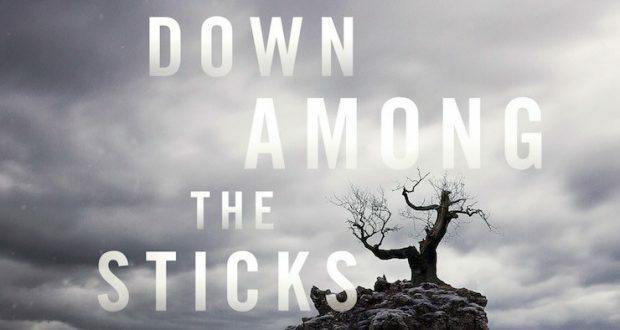 Down Among the Sticks and Bones is published by Tor.com and will be released on 13th June. Next: The Mummy: You’re cursed!